The Global Forum rated Brazil overall Largely Compliant with the international standard on transparency and exchange of information on requestshandled over the period from 1 October 2014 to 30 September 2017. A beneficial ownership registration system has been put in place to address the strengthening of the standard in 2016, and the report concludes that Brazil should now fully implement an effective supervision programme to ensure that the obligations for legal entities and arrangements to file beneficial ownership information with the tax authority are complied with in practice. 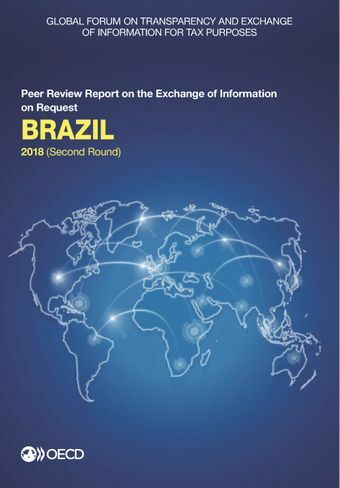 On the international cooperation side, Brazil is a partner appreciated by its peers but it has continued to experience delays responding to exchange of information requests, due mainly to staffing issues at the tax authority that go beyond cooperation. Brazil should therefore take measures to ensure that all requests are responded to in a timely manner. Read the news release.